Happy Monday everyone, hope you had a great weekend! Let's start the week with a comfy yet fancy look, totally inspired by the nature shades, my favorites :) Hope you like it! La gonna ha una stampa bellissima! Ciao Lilli, come stai? Io mi sono innamorata della tua gonna. Bellissima questa stampa. ciao Ludo, la stampa della gonna è favolosa..
Hi Lilli,my pu are looking so chic. Love thebprintnof your skirt. Your bag is so nice too, very Chloe. Happy Monday! E' vero sono proprio i colori della natura! Bella la gonna, la stavo cercando cosi! The print of your skirt and that vest pair really well together Lilli! Looks great! I love love that skirt pattern and how wonderful styled the look is!! Non ti avevo ancora visto indossare una midi Lilli, io le adoro e questa stampa è splendida!!!! I like the pattern and cut of the skirt! Very nice pick! Have a nice week dear. love the look! the vest is so cool! 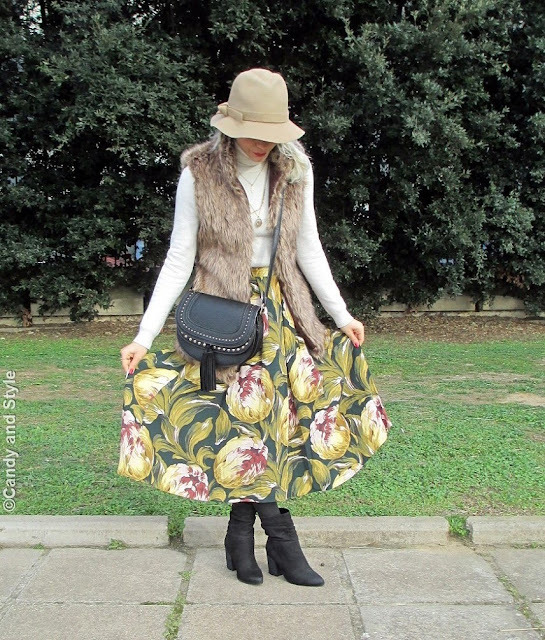 Hi Lilli, I am in love of your fue vest, Mixed with midi skirt and hat looks comfy, like this boho style, well done hun! Kisses. That skirt is like a beautiful garden, Lilli and you look absolutely beautiful in it. 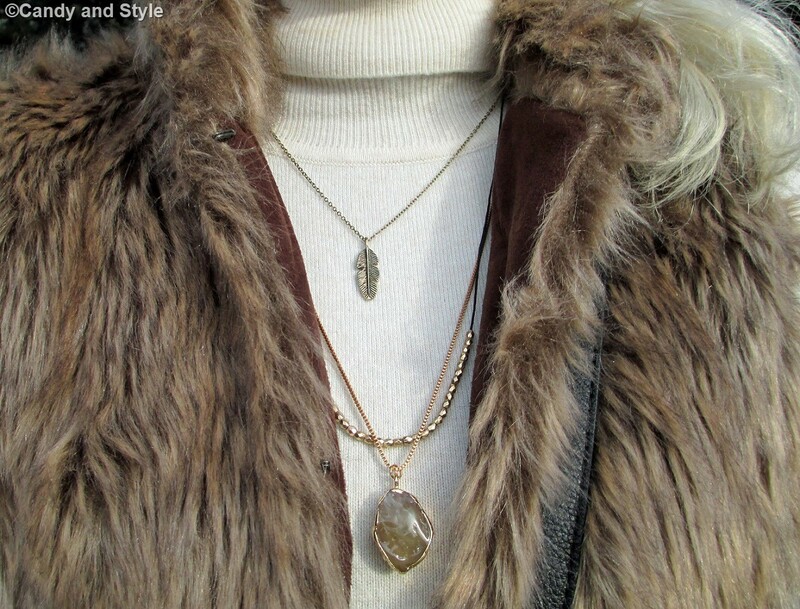 I love the whole look especially the addition of faux fur vest, just gorgeous! Favolosa la tua gonna Lilli, stai benissimo! Un bacio. Your gorgeous floral skirt is definitely the centerpiece of this look and I love how you brought in a touch of spring which styling it with cozy cold weather pieces. Have a fab week Lilli! I love the skirt a lot, Lilli! You look beautiful. You are an inspiration, I wear jeans and leggings all the time! carinissimo questo outfit...bellissima la tracolla! Gorgeous Lilli! You actually remind me of someone but I can't think of who or where either. I love the print on that skirt and the vest is gorgeous too. Also that bag is pretty fabulous too. Reminds me of a Chloe! Fabulous outfit Lilli, really love the glamour of the faux fur and the print on that skirt is gorgeous!